Mavi Kalem has been granted Courage Award which has been presented for the first time in memory of Juliette Gimon whose courageous and inspiring work changed hundreds of thousands of young lives across the globe. 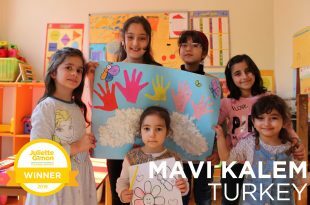 Filiz Ayla, General Director of Mavi Kalem, said the award is an encouraging result of the association’s efforts in strengthening children, especially empowerment of girls in disadvantaged communities. On April 2, 2019 Global Fund for Children gave Juliette Gimon Courage Award to Mavi KalemSocial Assistance and to Solidarity Association from Turkey and to Asociación Generando (ASOGEN)from Guatemala during Global Philanthropy Forum in California. Gamze Karadağ, Vice Chairman of the Board of Directors, received the award on behalf of Mavi Kalem. 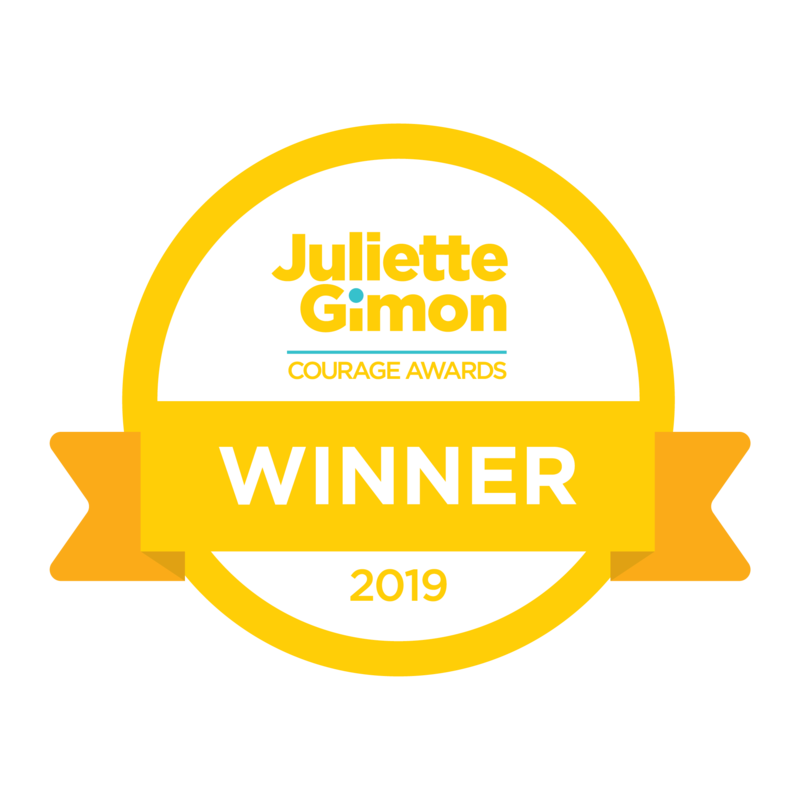 The Juliette Gimon Courage Award, given for the first time this year, recognizes innovative grassroots organizations around the world that are positively impacting children in especially challenging circumstances. 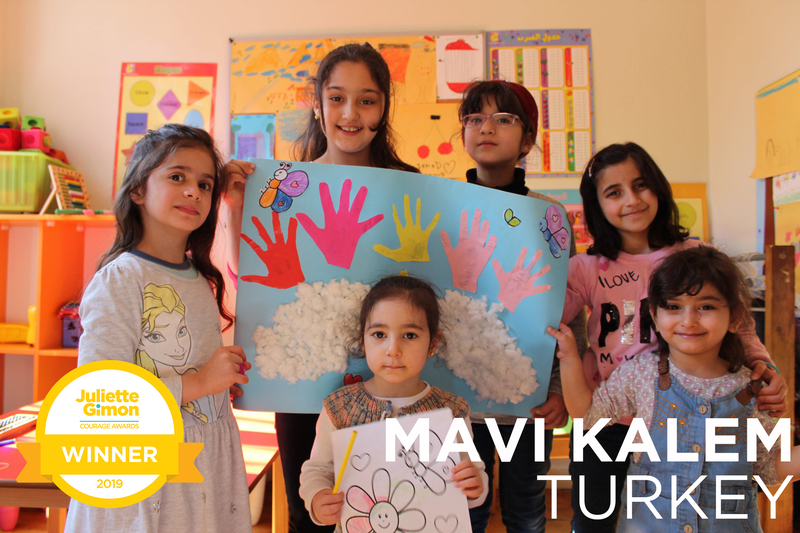 Mavi Kalem General Director Filiz Ayla said that this award is a pleasing result of Mavi Kalem’s continuous and persevering work for children, especially for empowerment of girls in disadvantaged communities. “We are excited by the fact that our endeavors and work that supports children’s education will gain visibility along with this award in the international arena. We would like to thank the Global Fund for Children. We are truly honored to receive Juliette Gimon Courage Award.” Ayla stated that they will continue to launch new projects in the fields of strengthening the lives of children and women, to reach more people and to diversify their work with new collaborations. John Hecklinger, Global Fund for Children Director, said they have deemed Mavi Kalem and ASOGEN worthy of the award due to the strength, courage, and passion they demonstrate in their work to defend and empower young people in incredibly challenging circumstances. “These values honor Juliette Gimon’s legacy and her work to inspire positive change for children around the world, “Hecklinger said.
. Cater To Their First Bathtub, and Make Babies Grow Healthy! We have initiated a study to support infants start their lives in a healthy manner. With this project titled “Healthy Baby”, we aim to reach 250 babies within the boundaries of our association’s field of activity at first step. In order to facilitate the increased workload of mothers and to meet the hygiene and health needs of babies, we have prepared a kit consisting of bath tub, baby towel, digital fever gauge, shampoo, diaper rash, washing sponge, washing net and baby nasal aspirator. Mavi Kalem aired on TRT 1 Radio channel. Mavi Kalem’s Programme Director Ms. Dilara Baycılı attended Günebakan program on January 25 during which she talked about the works and studies carried out by our association and our projects in 2019. 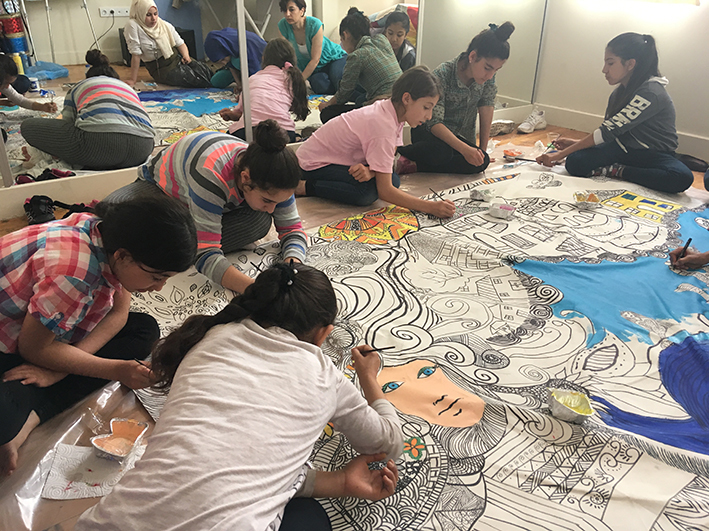 Our project, which aims to provide better access to qualified child protection services for refugee children and their families and to strengthen children, families and society, continues to grow. 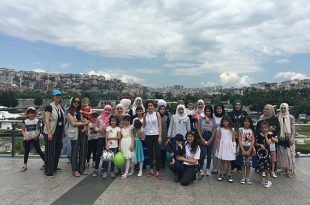 Within the scope of the project, we address the major child protection issues faced and encountered by Syrian and non-Syrian refugee children in Istanbul, including unaccompanied and separated children focused on problems of child abuse, exploitation, child marriage and child labor cases. 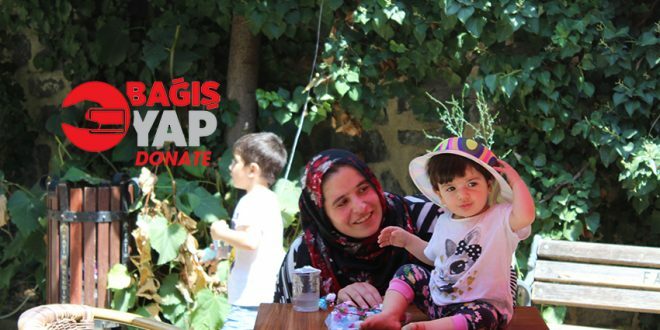 In the protection offices we have established in Fatih and Zeytinburnu, we work in the areas of “protection” and “empowerment” aimed at the establishment and functioning of the community based child protection structure. Our Child Protection Project team consists of experienced and skillful social workers who speak Arabic, Turkish and English. Throughout the project period, we are conducting Individuals Below 18 Years Old Are Children Campaign in order to raise awareness for the risks faced and encountered by children and young people, mainly aimed at child marriage and child labor. Our campaign, which emphasizes that every individual under the age of 18 is a child, asserts that children have the basic rights just like all other individuals in the society. 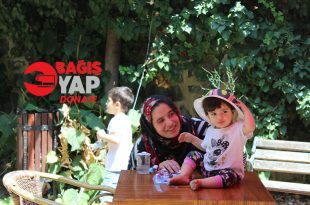 Within the scope of the protection focused work of our project, we see and witness that the risks of violence, e xploitation, abuse and neglect experienced and encountered by the beneficiaries who reach our offices in Fatih and Zeytinburnu regions are widespread. We determine the support and services they need by the Best Interest Analysis method and we conduct the Case Follow-Up Process premediated with regular interviews. In addition, we contact the Social Services Centers of the region for necessary services, and we follow-up the cases by referring them to the relevant institutions. Our Child Protection Project is expanding with Empowerment of Young Girls, the pilot study of Men Involvement For Empowerment of Women and Child Protection pillars. 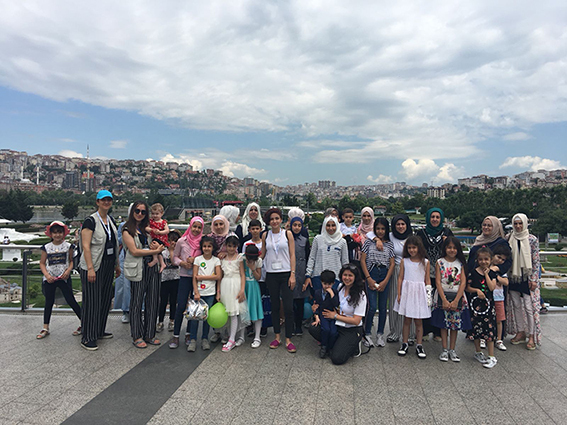 With this study, which we have initiated as a component of the Child Protection Project on 15 October 2018, we aim to ensure that Syrian refugee men living in Istanbul are supportive in their efforts to strengthen the Syrian women and girls. We will carry out this process with the information module we will prepare on gender-based violence and we will continue this process with the feedback and support we receive from our Strategy Consultants, Consultant Group and the Voluntary Syrian Men Group. In the preparation of the module, we will realize our works in a bilingual way by taking the cultural values and social structures of the Syrian society into consideration. At the end of our pilot application, which will end on December 31, 2018, we will develop a strategy document aimed at involvement of men for empowerment of women and mitigation of gender-based violence. We aim to continue and mainstream this study in 2019 in light of the experience and gains we have acquired during this pilot implementation process. 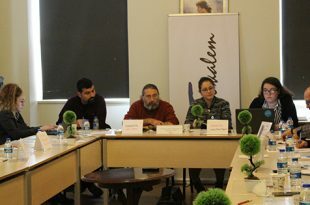 The first meeting of our consultant group with the agenda of how to create more effective information and messages on the prevention of violence against women was held on November 13th with the participation of representatives from organizations working with refugees. Aim of The Developing a Model on Education of Syrian Children Project, which has started in April 2018, is to support the continuation of Syrian children to education especially in secondary education. In this context, the project has three basic components. First of them is conducting face to face interviews with teachers working with Syrian students about understanding the problems on participation and continuity in education especially in secondary education. Second one is translation of Psycho-Social Guide which is prepared by INEE (Inter-Agency Network for Education in Emergencies) that aims to provide continuity in education for children affected by disasters and emergencies based on psycho-social support and social emotional learning. The translation will be followed by adaptation to Turkey with an adaptation group of teachers and translation of the adapted text into Arabic. The third component is introducing and disseminating the results of the research and adapted guide to stakeholders in the meetings that will be held in Istanbul, Ankara and Gaziantep and organizing the introductory meetings of the guide to teachers in Istanbul. 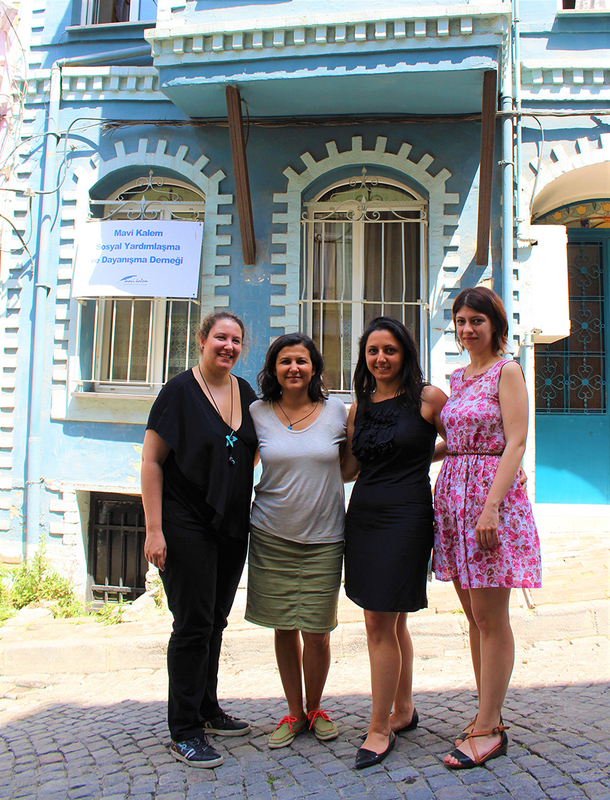 This project is supported by Malala Fund and leaded by Malala Fund Education Champion Gamze Karadağ. 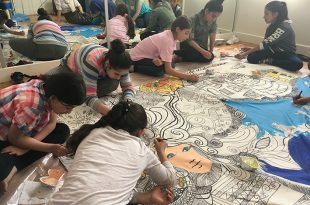 As a result of Developing a Model on Education of Syrian Children Project, the needs of Syrian children in secondary education will be determined, an exemplary and wide spread approach will be introduced to teachers, decision makers in the field of education, representatives of civil society organizations and academics. You may follow the updates of the project via Mavi Kalem’s Facebook, Instagram and Twitter accounts.
. We were in Narbonne/France in 17-24 of April 2016 for the International Network Meeting! For Erasmus + the European Youth Exchange, we participated in the international network development meetings in Narbonne/France with two volunteers and a team leader. 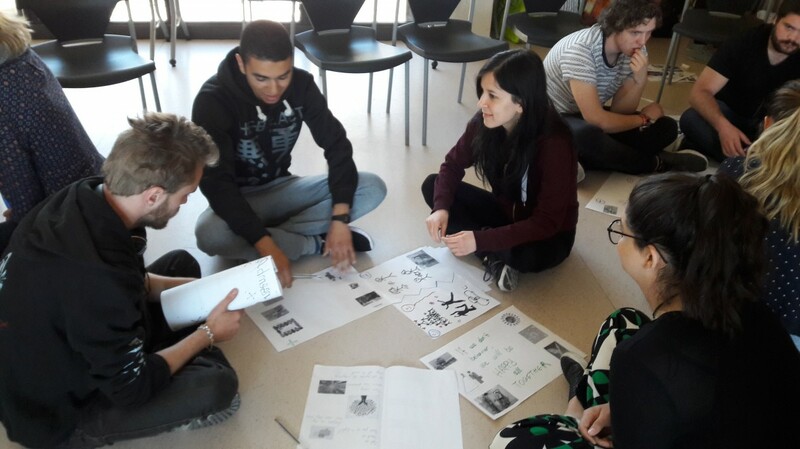 Roudel Association hosted this meeting whose topic was “Living Together: Differences and Identities” With 33 participants from Spain, Germany, Italy, Poland, Greece, Bulgaria, Belgium, Croatia, Liechtenstein, Latvia and Malta, we did workshops about it for 6 days. In these workshops, our primary topics were refugee camps and their problems which are discussed a lot lately. In a group work, we discussed them considering their positive and negative sides in company with a moderator. By using Betzavta pedagogy, we designed our either 2d or 3d dream houses on an A4 paper using different materials. Then we put our houses side by side and we shared our dreams and expectations about how we can make the places that we live better and how we can live better with different people. We talked to inhabitants by wandering around the streets of Narbonne. So that, we had an opportunity to learn not only their culture but also learn different people’s ideas about their hometown. While we were doing these workshops, we tried to understand each other better since 33 participants had different cultures, religions and perspectives. Besides, we had an opportunity to discuss what else we can do through this network in the future. Even though the participating organizations have different perspectives and fields to work on, we prepared workshops to find a common goal and to create sustainability of these meetings. In this way, we developed common project drafts for the future by improving our relationships with organizations in the network meeting. 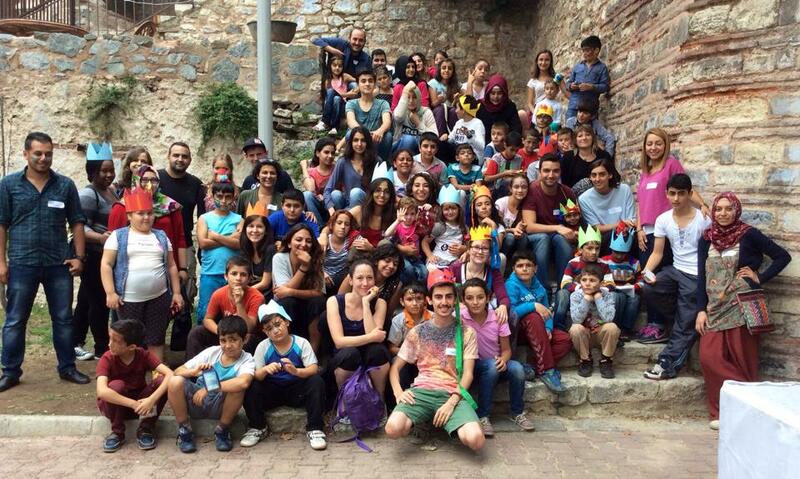 This year we made the 23rd of April Festival with 22 children and 15 volunteers on Balat seaside. We had a picnic and played a lot of games. Everyone had a lot of fun! Since the beginning of 2015, Mavi Kalem is a member of HAP (Humanitarian Accountability Partnership). 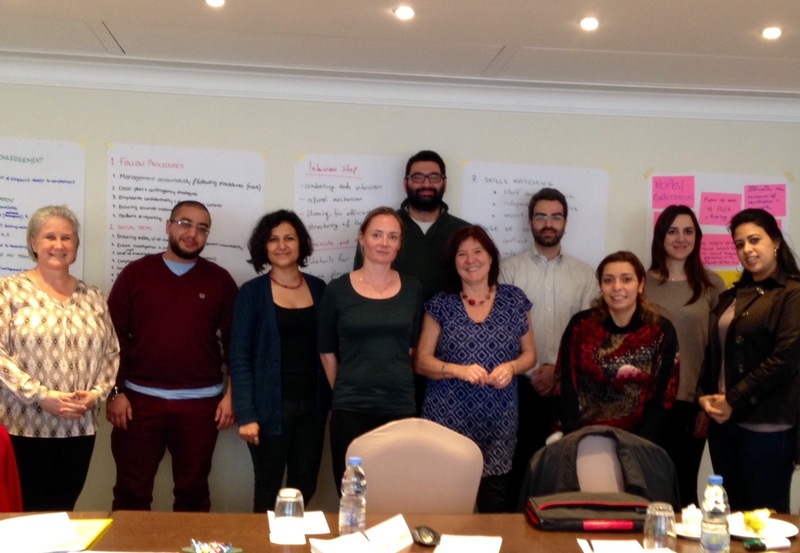 HAP International organised the Protection for Sexual Exploitation and Abuse for Managers Workshop in Beirut, Lebanon in 2-3 March 2015. 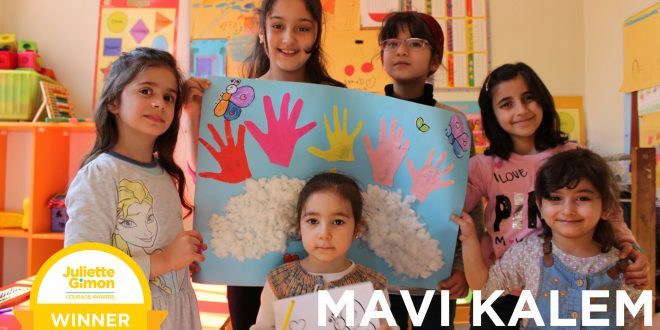 Mavi Kalem uses International Core Humanitarian Standards as a guide for all of its work and projects.
. Do you want to be a volunteer to support Mavi Kalem children’s lunch expenses/materials? We are carrying out “Children’s Education Support Program” since 2003 . We are realizing this program in two different periods as school period and summer period with Mavi Kalem’s volunteer team. Our children’s educational support program for 2014-2015 school year began on 11 October 2014. 25-30 children are participating in this program which is also ongoing at weekend (2 fully days). In our program we have been doing 21 different workshops / courses with our 35 volunteers. 2014 – 2015 support of children’s educational program will be completed by the end of June but we are unable to develop a resource for children’s, who attend classes, lunches. Even if just for the weekend, we want to support children’s regular diet. Monthly we need donation for lunch expenses, or you could prepare children lunch at your home and bring us in every weekend. This support would be also a voluntary opportunity. If you want to support children’s healthy diet; we would appreciate to you.